When you started planning your wedding day, it all seemed so exciting. You most likely had visions of movie-worthy montages, giggling at the reception hall with your vendor, whimsically smelling the blossoms at your flower shop. But in reality, you’re most likely hyperventilating over seating charts and freaking out about creating centerpieces. 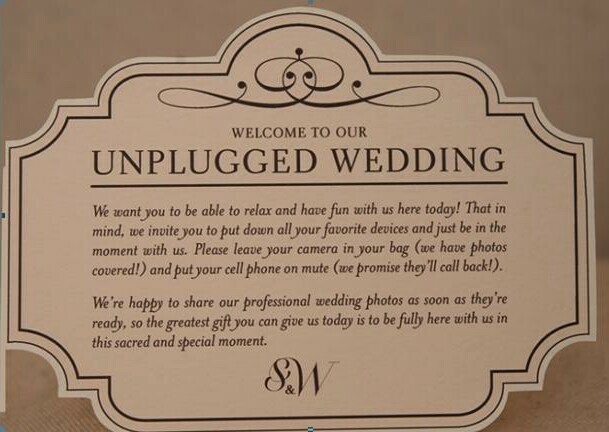 From my own experience of wedding etiquette and the new age of electronic devices, last week a couple requested that I ask the guests to refrain from taking photos during the ceremony. They wanted their guests to be present and part of their special day. Professional photographers were there to capture the event. I often hear complaints from the wedding couple, the hired professionals and guests. Some of the biggest bet peeves are that photos are ruined because an “uncle Bob” (amateur photographer) is in the photo, blocking site lines or they are using a distracting flash. And, worst, imagine not being able to see the ceremony because the person in front of you is holding their i-pad in front of your face. 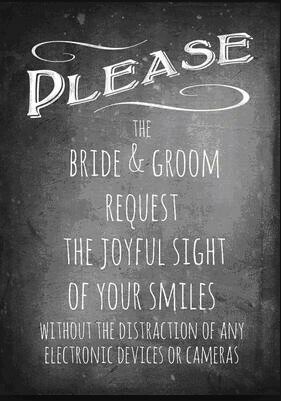 What NOT to do – for the wedding couple, or the guests behind you. 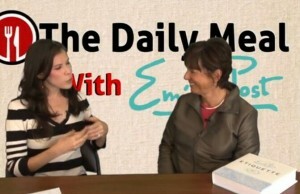 I went on line and found some ideas you can use to ask your guests to unplug from the digital age. This entry was posted in Wedding Etiquette, Wedding Planning by Randy Gritz. Bookmark the permalink.